Imagine indulging in a long bath after a painstakingly long day. That’s my idea of a perfect Friday night. Yep, I officially feel 30, and I choose solitude over being cool. But, you have to agree – there’s nothing more relaxing than melting your stress away in a hot water bath. A bath oil can elevate this amazing experience. Don’t know which bath oils to stock up on? Lucky for you, we’ve compiled a list of the best ones available on the market right now. Swipe up to check them out! 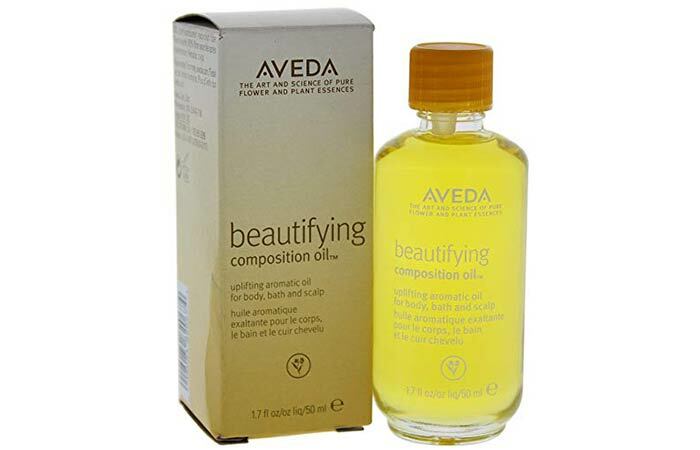 The Beautifying Composition Oil from Aveda is a nourishing blend of organic olive, safflower, and soybean oils that relieve parched skin from extreme dehydration. The rosemary oil, bergamot oil, and other plant extracts in it lend it a pleasant aroma. 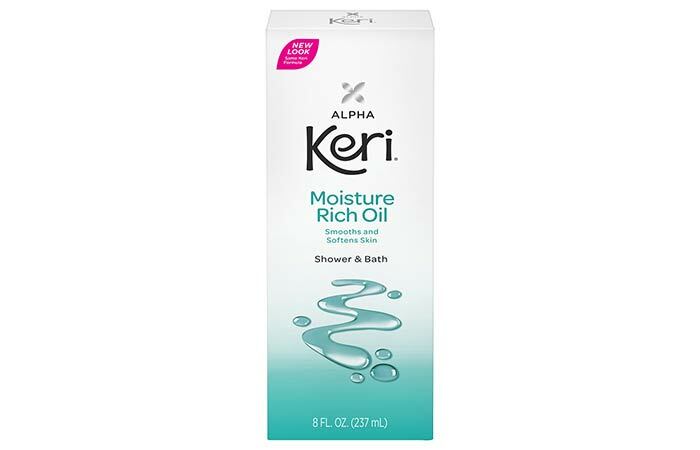 You can use this bath oil before you get into the shower, soak in it in a bathtub full of water, or after stepping out of the shower. 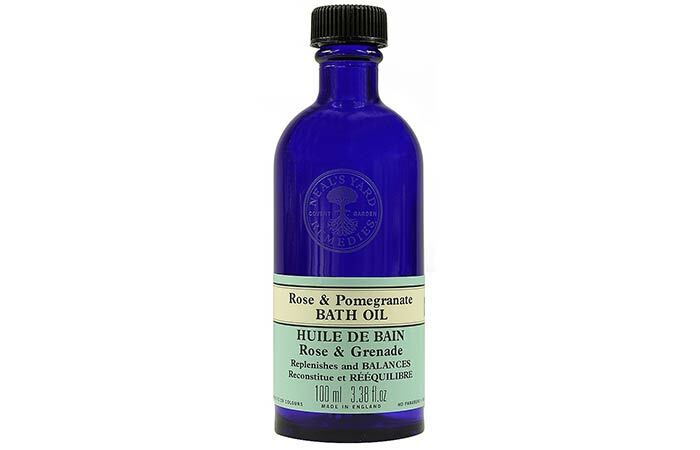 Neals Yard Remedies Rose & Pomegranate Bath Oil smells great, smoothens your skin, and relaxes your body and soul. It is made of luxurious ingredients like damask rose, pomegranate seed oil, and patchouli leaf, along with aromatherapy essences like cedarwood and bergamot. 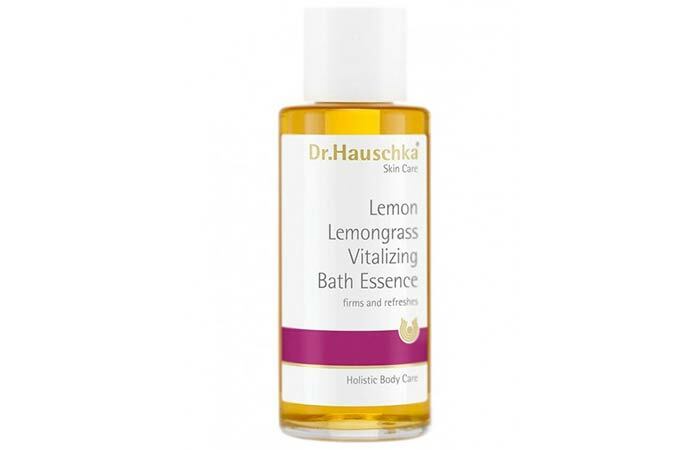 Dr.Hauschka Lemon Lemongrass Vitalizing Bath Essence is a zesty, invigorating, and rejuvenating blend of naturally-derived lemon and lemongrass essential oils. The omega fatty acids in this bath oil condition and soften your skin as they penetrate deeply into it to balance out the moisture level. 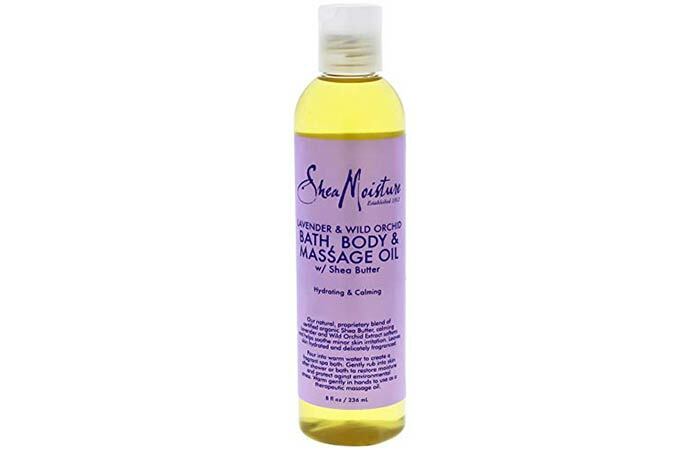 Shea Moisture Lavender And Wild Orchid Bath Oil contains natural extracts that calm your skin, reduce itching caused by flakiness, and hydrate parched skin. 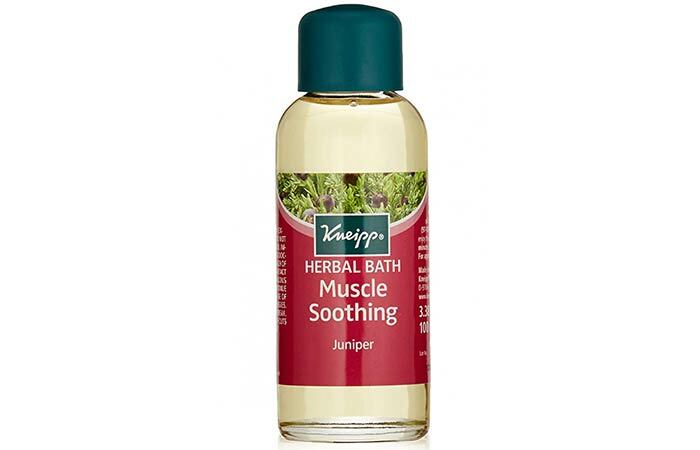 It acts as the perfect massage and bath oil that soothes your senses while relaxing your body. There is nothing the divine properties of eucalyptus oil cannot fix. 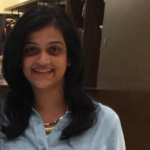 It is one of the easiest and most inexpensive ways to unwind on a chilly winter night after a long day at work. 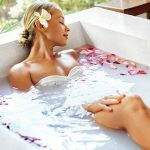 You can either add a few drops to your bath or massage it on your body before you get in. Its formula is light and gets absorbed quickly, leaving you feeling rejuvenated. Enjoy the goodness of vitamin E, almond, and macadamia oils on your skin by soaking in this bath oil before you jump into the shower. 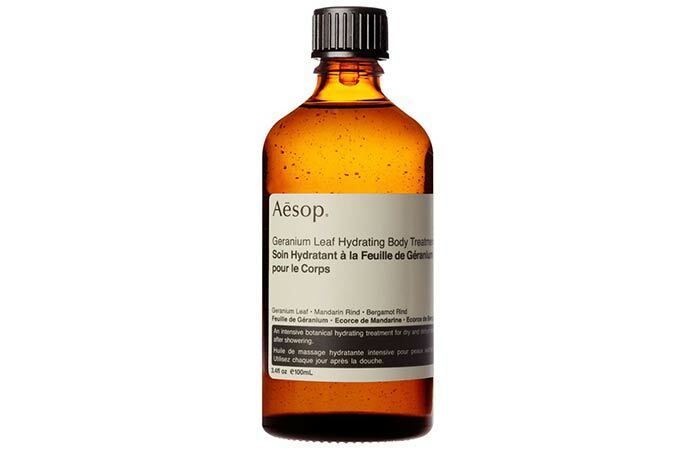 It is incredibly hydrating, moisturizing, and fortifying and leaves your skin feeling baby soft. 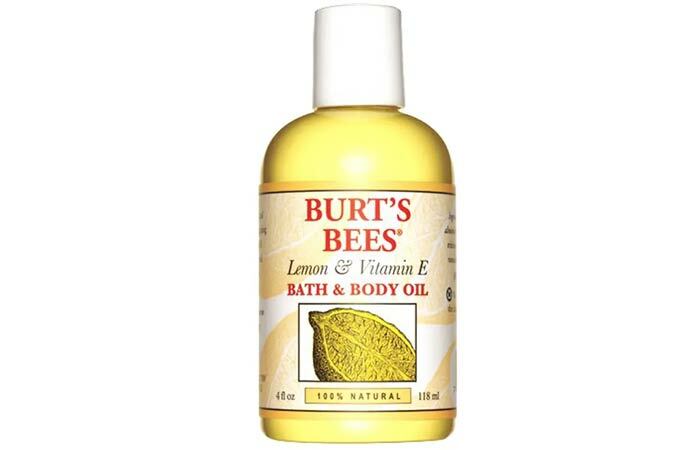 Restore and replenish your dry skin by soaking in Burt’s Bees Lemon & Vitamin E Bath & Body Oil. Its all-natural formula is a combination of wheat germ, sweet almond, and lemon oils that soothe your skin, seal in the moisture, and nourish and protect your skin. This delicately formulated bath oil is gentle on your skin and smells heavenly. It nourishes your skin, leaving it smelling sweet and feeling great. It lets you pamper yourself with the goodness of Moroccan Rose Otto Oil, giving you a spa-like experience. Working out feels great, but it also leaves you with a painfully sore body. Soak in a bathtub infused with this juniper bath oil that relaxes your muscles, cools you down, and leaves you feeling rejuvenated. 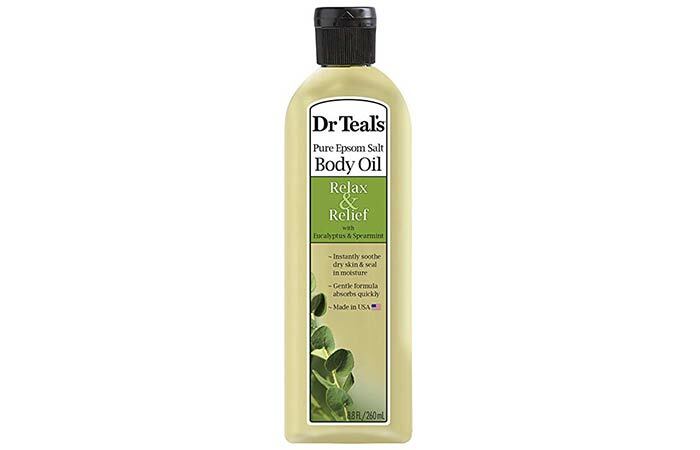 It also contains rosemary and wintergreen oils that increase blood circulation to detox your body. Pamper yourself with this rich and refreshing bath oil that replenishes your parched skin during winters that call for extra moisture. This oil also contains spearmint that stimulates your senses and leaves your skin with a shimmering finish. If you are an early riser, get into the bath around sunrise while the world is still waking up into another day. How does that idea sound to you? 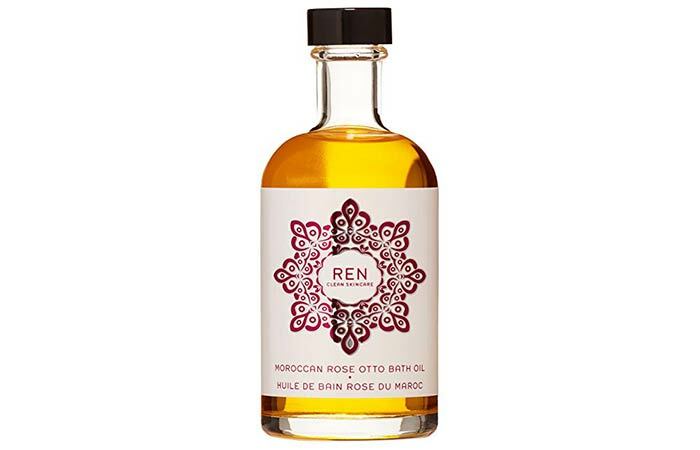 Have you jumped on the bath oil bandwagon yet? Let us know by dropping a message in the comments section below. Bleach Bath For Eczema – Is It Really Effective?